Each year, more than 10,000 Metro Vancouver school kids experience performances by Arts Umbrella students. These shows take place everywhere from school gymnasiums to professional theatres, immersing young people on both sides of the stage in the magic of performance. 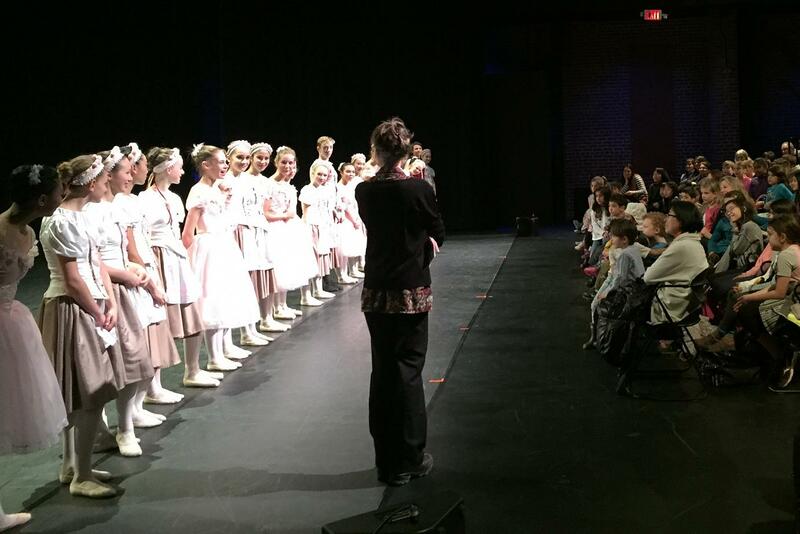 Arts Umbrella school tours feature the Arts Umbrella Dance Company and the Theatre Troupes of the Theatre & Music Pre-Professional Program. For the young audience members, these shows can foster a lifelong appreciation and enthusiasm for the arts. For the young artists on the stage, the shows can help grow confidence, widen their experience, and reinforce classroom learning. For details on how to request a performance, please email outreach@artsumbrella.com. For many young audience members who attend Arts Umbrella school tours, these performances are their first exposure to dance or theatre. And from this first experience, seeing other young people performing, the young audience members have a unique opportunity to develop enthusiasm for the arts from an early age. They have the opportunity to be inspired. “I’m going to be a dancer too,” said one elementary student after an Arts Umbrella Apprentice Dance Company performance, showing how school tours spark possibilities and foster imagination in young minds. School tours also inspire the young performers themselves. Touring provides dedicated young artists with the experience that comes with performing for a variety of audiences at a range of venues – strengthening their focus on stage and completing their circle of learning.